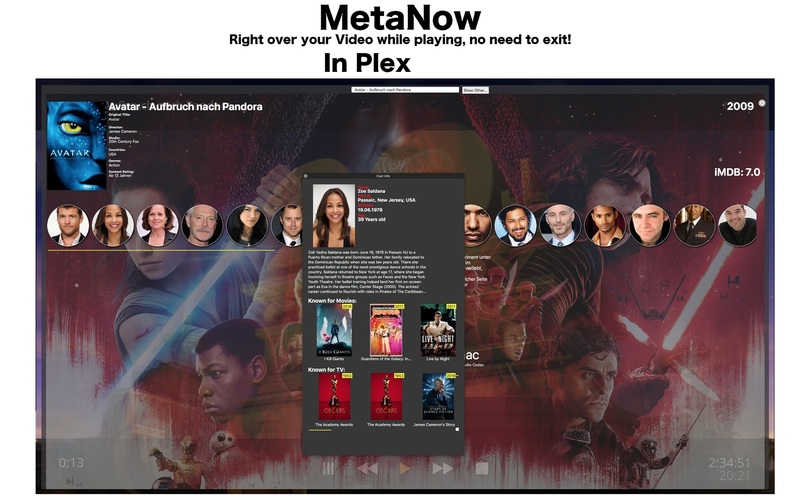 Quickly lookup media to get metadata and trailers (was PCB3, was PopClipBuddy). Is there a better alternative to PCB Desk? Is PCB Desk really the best app in Reference category? Will PCB Desk work good on macOS 10.13.4? PCB Desk needs a rating. Be the first to rate this app and get the discussion started! PCB Desk (was PCB3, was PopClip Buddy) lets you perform media-information lookups for everything related to movies and TV shows. It allows you to lookup any title or actor simply by dragging-and-dropping titles or names on the Dock icon, or via shortcut. 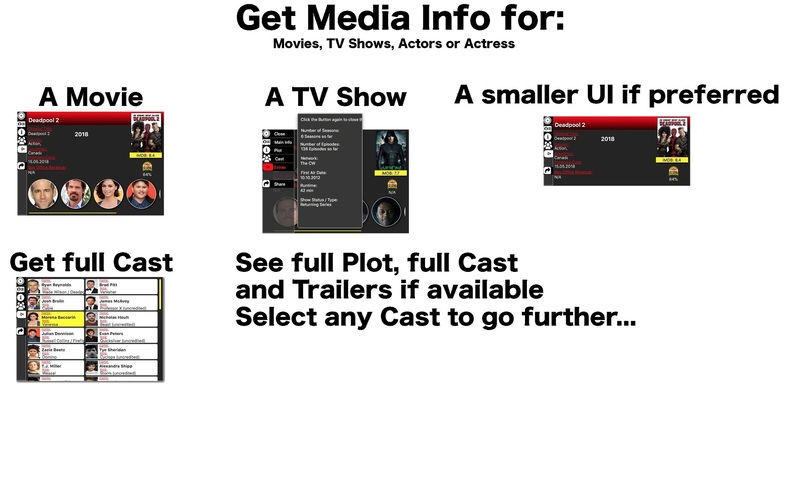 It offers you full media details, including iMDB ratings, a full cast list, and, if available, the trailer for movies. Are you looking for an actor or actress? 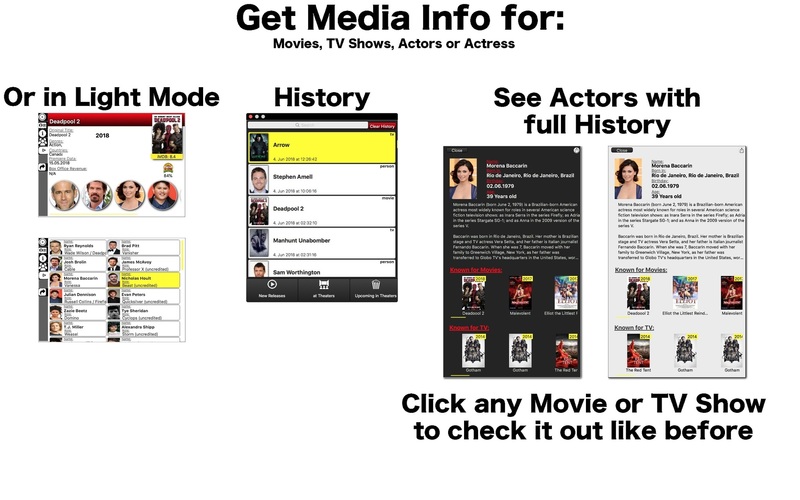 You get a gallery mode for photos and all his / her recent movies and TV shows, right in one place. This is also a great discovery tool: PCB Desk will show you planned movies for an actor, even if their titles are far away from official announcements. For example, you may know about Avatar 2, but did you know that there are as many as 4 planned? PCB Desk knows this. 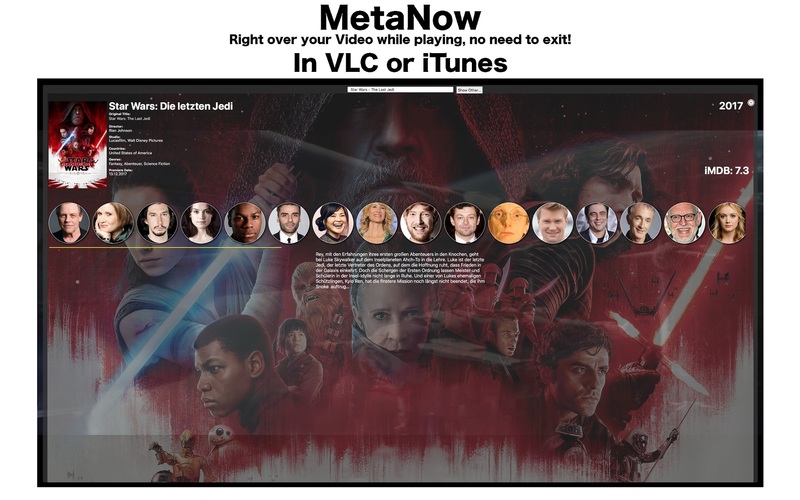 PCB Desk is built on top of theMovieDB data and iMDB.com for ratings. You may know this app from the past: PCB Desk is an evolution of PCB3, which was an ambitious but more an educational project; now, PCB Desk has significantly evolved, and has added some very nice and handy features. It also offers you the ability to check out what's in theaters now, and what will be coming within the next month. It syncs all your lookups via iCloud, and makes them available on other Macs, as well as on all iOS devices.